Social media is something that businesses of all sizes should be using. Social channels make it possible to reach people who are interested in the products and services you offer. In addition to reaching them, the ongoing nature of social media marketing means you can build the necessary level of trust that’s needed for someone to buy from your business. As a smart social media marketing consultant, We help businesses with all kinds of issues related to social media. Since this gives me an opportunity to see how different businesses are approaching their social efforts, I’m able to notice trends across multiple industries and organization sizes. One issue I commonly see is businesses struggle to measure how well their social media efforts are performing. Although it wasn’t that long ago when getting concrete data from social media platforms was quite hard to do, the good news is that’s no longer the case. These platforms understand the value that data can give businesses and are happy to provide it. However, just because data is available doesn’t mean that measuring social media marketing performance is a breeze. While social media can bring customers to your business, it’s important to remember that this channel generally sits at the top of the marketing funnel. That means most people will want to engage with your brand for a while before actually purchasing. You can measure that engagement through likes and/or shares. When these metrics are used as internal benchmarks, they go beyond vanity metrics and provide insight into what types of content best resonate with your audience. Once someone is familiar with your business, you want to get them on social media and on to your website. Clicks are an ideal metric to measure for this purpose. You can see general trends about how many people are clicking to your site on a daily basis, along with which specific efforts are best at driving website clicks. It’s important to remember that not all clicks are equal. That’s why you should also measure how much time people spend on your site after clicking. If you suddenly notice that a bunch of social media visitors stayed on your site much less than normal, it probably means you pitched something on social that didn’t actually line up with the experience those visitors had when they arrived on your site. 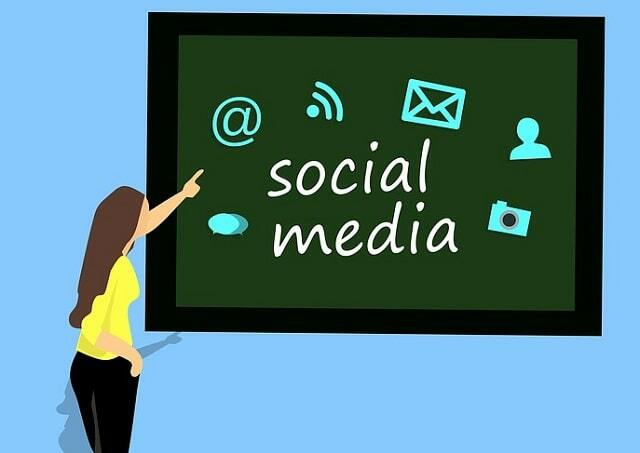 Find the social media net ROI (return on investment) by subtracting the advertising and/or administrative costs of your social media marketing ads from the sales they generated. Realizing the importance of ROI, you should definitely try email marketing ($1 spent on email marketing brings you $44). To reach only targeted leads, you need to use an email verifier: it cleans your email addresses list within a few minutes. Tracking social media marketing results isn't always easy. Keep these simple suggestions in mind to make quantifying your social selling efforts just a little simpler. Author Bio: Michelle Hummel is a web strategist, motivational speaker, social media trainer, inbound marketer, entrepreneur and the owner of a web design & digital marketing agency. She helps to drive more leads to your business with an integrated web strategy. She also specializes in creating social media content and digital marketing strategy to help you reach your target audience online. Article updated and expanded from Articles Factory by the Social Selling Entrepreneur web content team. I hope you enjoyed this article about how to successfully track social selling metrics and return on investment. Interested in reading more articles about social media marketing?